George Prior, a 50-year-old father of two from Los Angeles decided to show everyone the dangerous effects of consuming too much sugar – by bravely experimenting on himself. How? 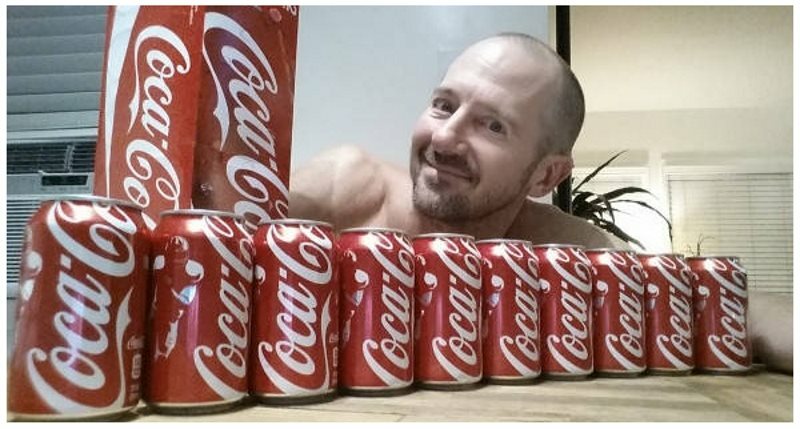 He drank 10 Cokes a day for one month, while neatly documenting every transformation his body endured during the process. According to his website, the goal of this experiment was to raise awareness about the potential dangers of excessive sugar consumption, which is a pretty normal thing in the sugar-obsessed world we live in. And his message doesn’t include only drinking Coke by itself – it’s about all the sugar-infused beverages and snacks we are used to stuffing our bodies with on a daily basis. 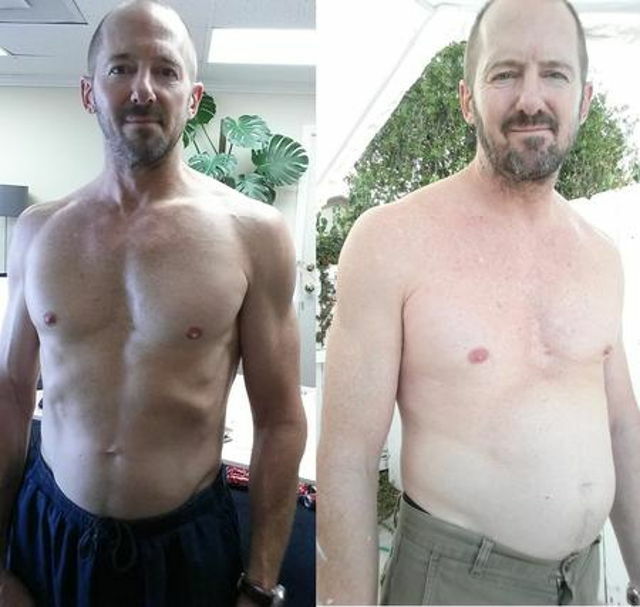 In 30 days of drinking 10 Cokes a day, George gained 23 lbs, gained a ton of body fat, started experiencing intense sugar cravings and his blood pressure reached an unwitnessed peak. …two weeks into his experiment, his body fat has increased by over 50%, and he’s gained 13 lbs. Yes, sugar can do this to you. Unfortunately, far too many people are not aware (or just don’t care) about the pile of simple and hidden sugars they consume each and every day, so we sincerely hope this guy’s effort can serve as a wake-up call for all of them: limit your sugar intake before it causes your body an almost irreversible damage. So let this be a lesson to those soda (and juice) lovers out there. Think before you drink. Just look at what 300 cokes did to this guy’s body in just one month.